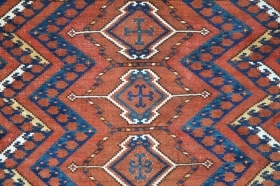 active since January, 17, 2013. 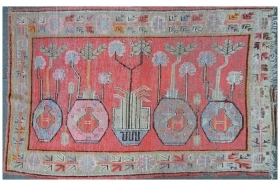 Large "Bird" Khamseh 305 x 210 cm. 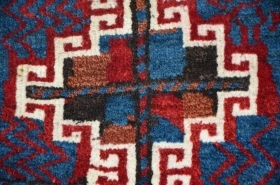 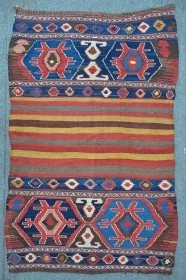 Beautiful kilim on both ends. 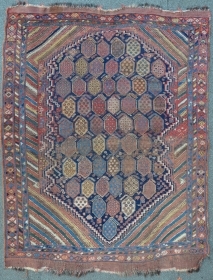 "Snowflake"Timuri Baluch, 212 x 114 cm, late 19th. 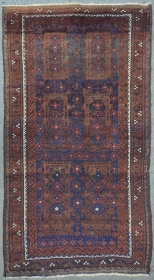 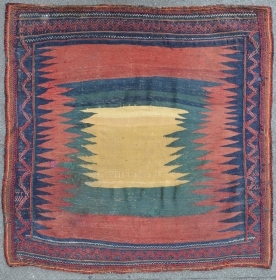 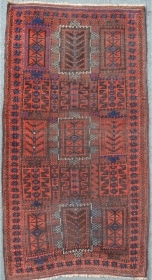 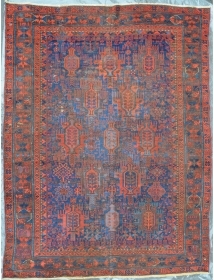 c.
Large Kizil Ayak Chuval, 172 x 95 cm, very soft handling, 19th.C. 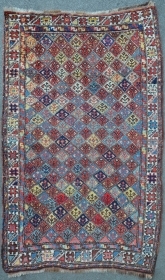 a rare Timuri Baluch main carpet, 180 x 246 cm, restored. 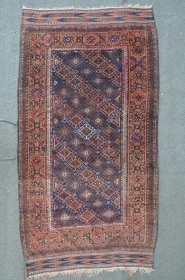 Persian Kurdish rug, 199 x 114 cm, possibly a Quchan? 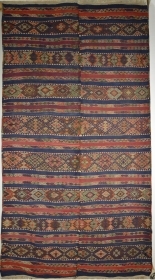 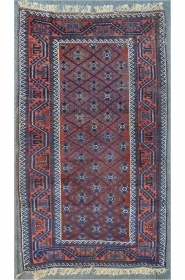 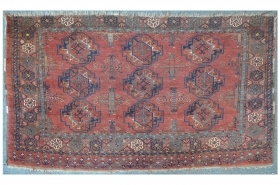 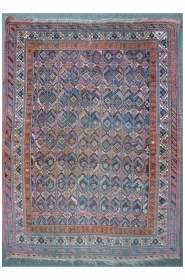 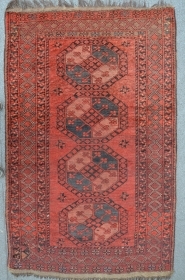 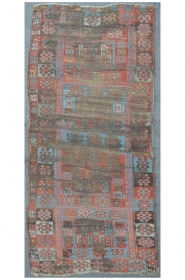 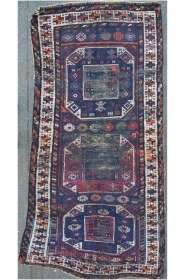 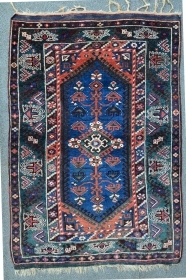 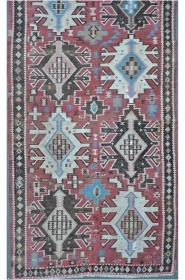 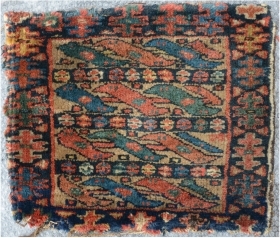 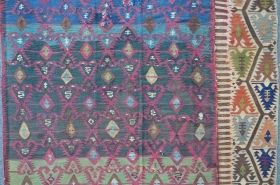 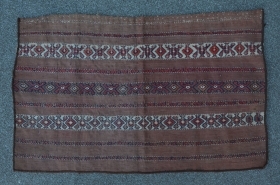 Baluch 238 x 125 cm, worn, but still loveable and ready to put on the floor. 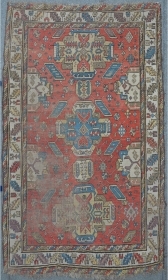 Antique Meshed, 147 x 367 cm, beautiful fragmented from a large carpet. 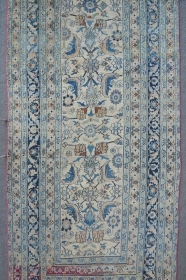 Ivory ground and pastel colors, elegant! 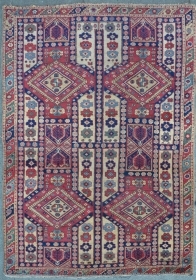 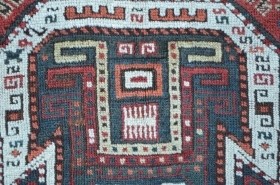 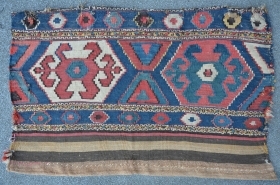 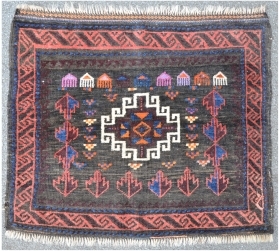 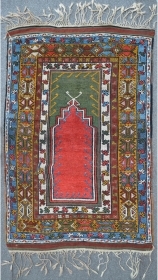 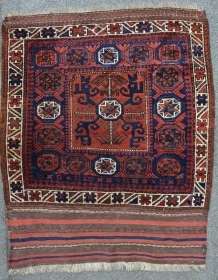 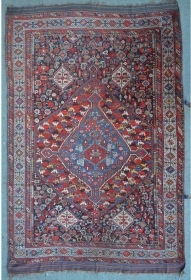 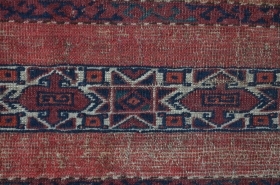 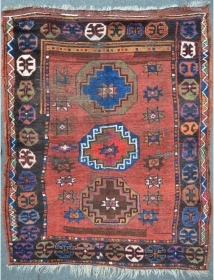 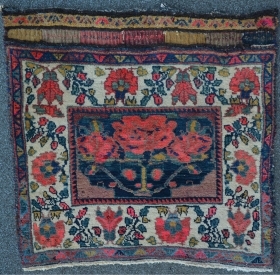 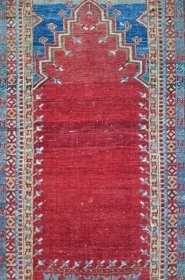 Antique Khamseh, 196 x 142 cm, as found condition with some little damages and one old restoration. 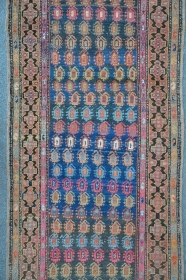 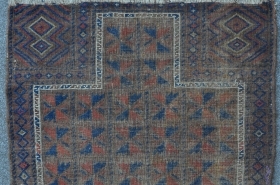 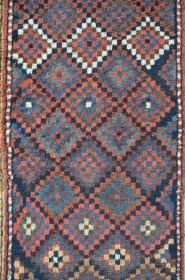 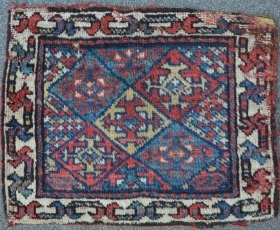 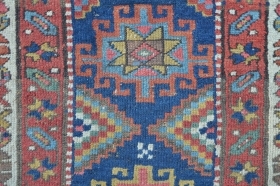 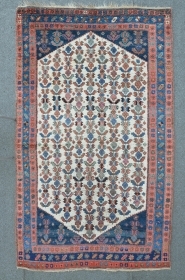 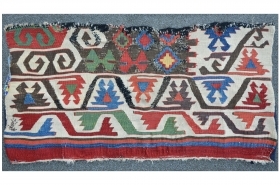 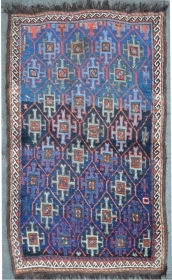 East Anatolian Carpet, probably Malatya, 195 x 102, beautiful z and s minor borders with great colors.